Become a real powerhouse, *INTERNATIONAL AVIGNON* is the meeting place for all good professionals wanting to source quality merchandise and great diversity. Indeed this is a day that thousands of professionals from around the world meet and exchange their knowledge. The SODAF opens at 8:00 the precise day of the event, sales and purchases can then begin. Shipped across the country and in the world, dozens of international freight forwarders engaged in kidnapping, packaging and customs formalities. Just for you! Market access is available only to professional traders on presentation of the card purchaser or K-BIS extract. A well-oiled machine: It’s the first Avignon unpacking professional merchant s’ place. 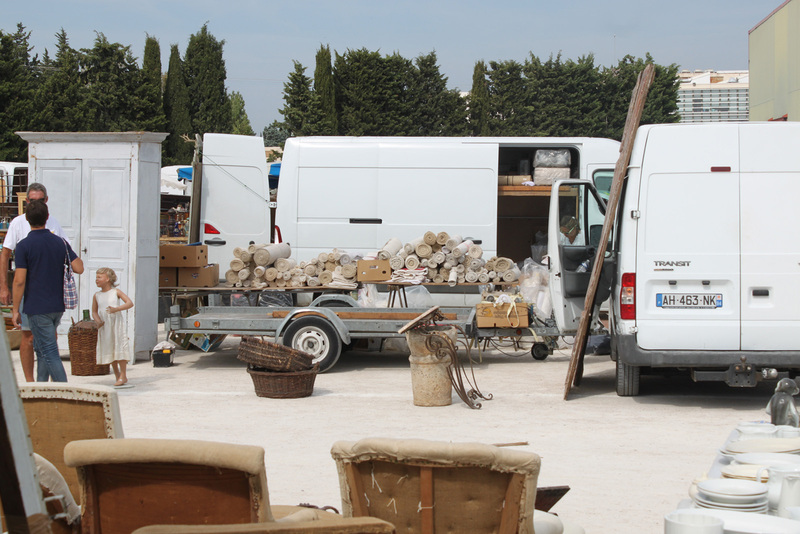 Creator of the concept reserved for sellers and professional buyers of antique flea market, the professional market first took place in 1974. Free admission / free parking. You will find there a fast food service. Taxis are available just outside the fairgrounds. The SNCF train station is 10 minutes from the fairgrounds. The airport is located 2 minutes from the fairgrounds. Parc des Expositions de Châteaublanc-Aéroport 84000 AVIGNON.